This year was excited to participate in the Climate Change Game Jam with Erin Robinson, one of the most talented independent developers in the industry. 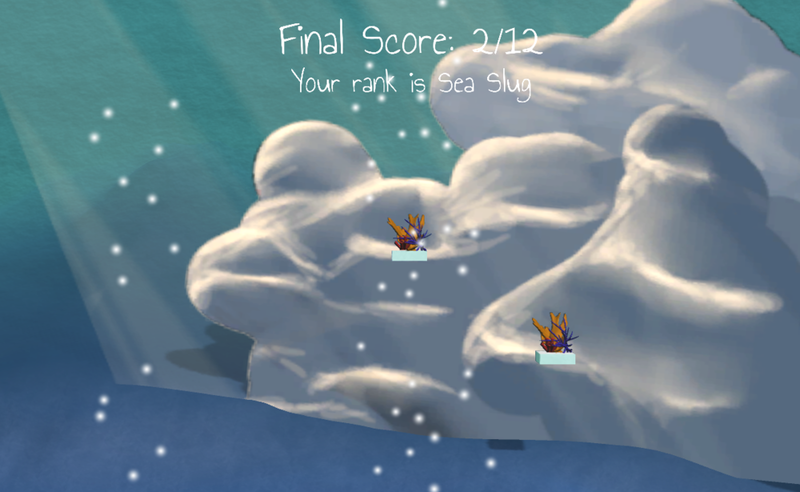 In 3 Days, Erin and I created and Submitted Reef Revival. By the way, we totally Won! Even though the Jam was back in January, Corey and I jammed on it this past weekend. Getting back in the project was a good feeling since we really liked the concept so much all those months back. We said what everybody says: "We'll keep working on this after the jam"
The theme of this year's game jam struck a personal chord for us. We sat and talked together that day about what we thought the theme meant to each of us. What we all came to agree on was self image is an altered mirror. When we think about what we have control over in our lives, sometimes we find that we only really have control over what we do to ourselves, or in Skinnier, our bodies.Skinnier is the negative feedback loop life can have on our psyche. We have jobs and relationships in fast pace lifestyles where people may (or may not) be projecting our insecurities right back to us. 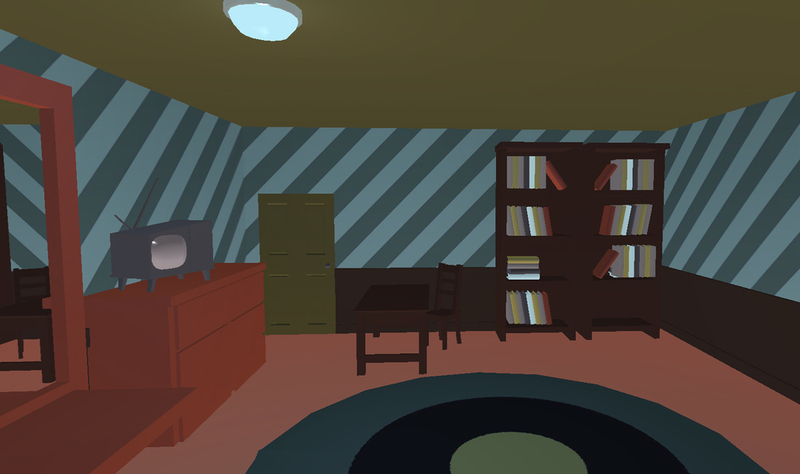 In Skinnier you play as gender-less, faceless character who has to go on with their day. In the mirror, do you see your reflection or what you think you are? As the artist on the team, the decisions I made from the start were almost entirely based on scope. It was a little ambitious of us to go the 3D route, but I had just got my hands dirty in IBL and I had hoped I could bring the whole aesthetic together with a few VERY simple sky boxes. We had limited time and resources so I decided to go with a plastic cartoon feel: Bright colors, simple geometry, and flat textures. Since there would be a lot of static assets, we wanted to keep the art style as simple as possible. With maybe one exception, there are no unique texture maps or unwrapped assets. For the food parcels, I only got as far as place holder art, but the team actually really liked what I did. I just used simple rounded off cubes with colors or a simple texture. I wanted them to look like candy. We thought about doing a candy like world as kind of a nod to the candy crush debauchery, but that was a fleeting notion.